Litepanels 1X1 Bi-Color Variable Color Temperature LED Flood Light shift from 3200K or 5600K or anywhere in between with the turn of a knob. For the first time, instead of filtering a source’s fixed color temperature, you can dial in the precise look and temperature that you want. Matching Lightpanels sources is easier too, thanks to the highly consistent nature of LEDs. One-touch dimming with minimal color shift. Draws less than 10% the power of traditional lights. Draws 40 Watts @ 24V. Remote dimming possible with optional wired remote or via DMX. 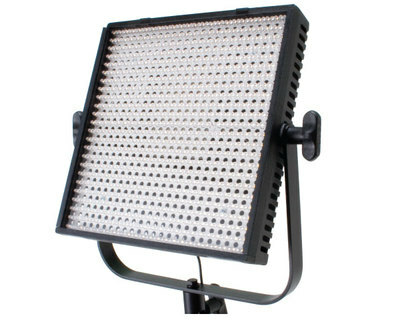 Powered by Litepanels’ multi-voltage AC source or a wide variety of 18-28V DC sources. Integrated DMX (RJ45 connectors) enable remote dimming and color control from dimming boards such as those used in theaters. Slim, (12″W x 12″H x 1.75″) heat-free design means that you can put a light wherever you can fit one without fear of damage or injury. 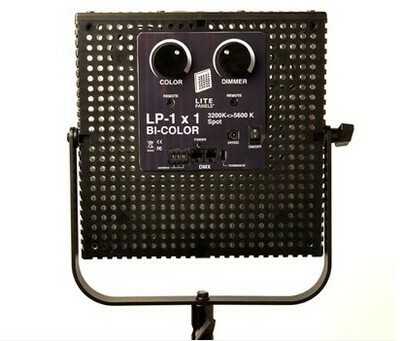 Rent the Litepanels 1X1 Bi-Color Variable Color Temperature LED Flood Light from Deck Hand Camera Rentals Today!